Agmatine is an endogenous decarboxylation product of arginine, a chemical produced from arginine by biochemical reactions. Because Agmatine is already the metabolite of arginine and does not require further biochemical reactions, it actually works better than arginine and provides an increased effect on mood and focus. A transdermal formula featuring a potent stack of two potent DHEA prohormones – Super R-Andro and Super Epi-Andro. The topical application allows for almost instant delivery of active ingredients into the bloodstream. Minutes after application the conversion of Super R-Andro and Super Epi-Andro into strongly androgenic hormones known as DHT and Stanolone takes place. A transdermal fat loss formula powered by 7-Keto. The topical application allows for almost instant delivery of active ingredients into the bloodstream. 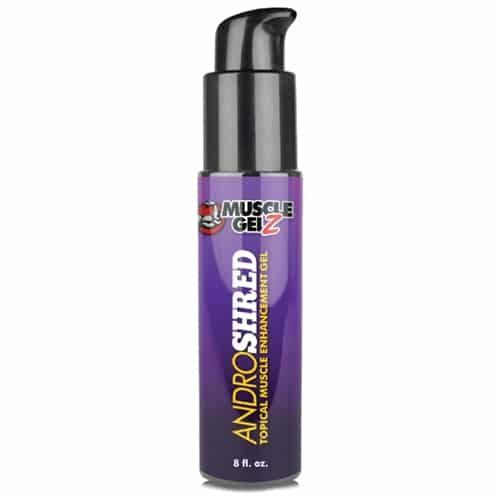 Minutes after application the ingredients in AndroShred are already working to destroy fat by increasing metabolic rate and igniting thermogenesis. With a state of the art proprietary blend of potent ingredients, Brazilian Tight™ gel gives you clinically proven results to reduce the appearance of cellulite (“orange peel”), while making the body smoother and firmer. This revolutionary gel not only diminishes the appearance of cellulite while dramatically increasing the skin’s smoothness, but it causes “reverse differentiation” causing fat cells and fat tissue to actually reverse its form into healthy, fibrolast-like tissue. The skin will be smoother, firmer and healthier with more suppleness and elasticity…and a dramatic reduction in the appearance of cellulite. • Visibly reduces the appearance of cellulite (orange peel skin) after regular treatment. • Helps decrease fat deposits and water retention on the affected area of the skin. • Results in skin being firmer and smoother, with improved elasticity. • Decrease in appearance of cellulite of up to 90% in 8-weeks. • Reduction in skin surface roughness of up to 72.9%. • Average decrease in the appearance of cellulite up to 51.6% in 8-weeks. The new form is made to give crazy vitality and hunger concealment while being the most impact legitimate fat killer in the USA today. Their main objective with this new form was actually the greatest eating routine supplement accessible. Crusch: ultimate tri-phase creatine – the champion’s trifectathis time, beldt labs delivers three of the most superior creatine forms all in one advanced blend, crusch: ultimate tri-phase creatine, a formula specially designed to help trigger unparalleled gains in muscular strength, endurance, recovery and size. DRIFFT: Advanced Sleep & Rest Blend is not just one of the best natural sleep aids around (even though it is), but our unique formula has been developed with 6 of the most highly trusted, research-backed rest-optimization components, all in a non-GMO formula, so you can perform at your absolute best, each and every day. Equibolin is a potent bulking prohormone that will see you grow at a steady pace as your appetite and energy are greatly increased to allow you to ingest calories and then turn them into the muscle at the gym. This is a serious formula and one we recommend you give a try if you are trying to bulk. Arimistane® is a naturally occurring DHEA derivative and metabolite of 7-Keto-DHEA® produced by the metabolism of DHEA in the body. It is a suicide aromatase inhibitor which binds very strongly with the aromatase enzyme in the body.